Amy’s Cranberry Candy provides America’s best, 100% American made, healthy cranberry candy snack. All their candies are are made from fresh cranberries right here in Chicago, and they never contain preservatives. 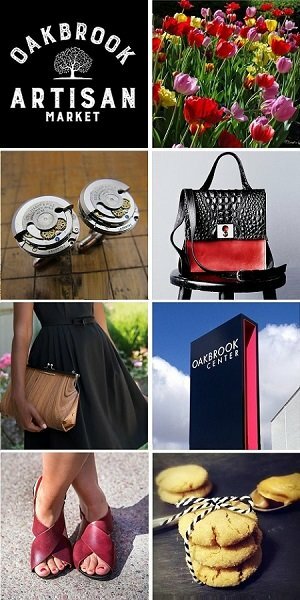 Sample & shop with Amy’s Cranberry Candy at the Chicago Artisan Market at Morgan Manufacturing (401 N. Morgan St., Chicago) on Sunday, December 2, 2018 (10am-4pm) along with 100+ of Chicago’s finest artisans in food, fashion, home goods + art. 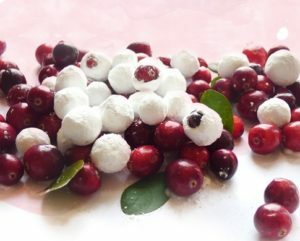 • Cranberry Candy: Healthy and delicious, fresh cranberries are rolled in sugar powder for a beautiful sweet-tart candy. A light, crunchy sugary coating embraces the fresh berry inside to give a satisfying crunch and juicy burst of flavor when you bite into it. • Cranberry Chocolate Spread: Made with cranberries, chocolate, cocao, milk, sugar, lemon juice and vanilla, this handmade, small-batch spread has no preservatives, artificial colors or flavors, and is gluten free. • Cranberry Jam: Pure and simple ingredients of fresh fruit, fruit pectin and sugar create the jams and they come in three flavors – Cranberry Strawberry, Cranberry Raspberry and Cranberry Orange. Each flavor is preservative free and without artificial colors or flavors. Cranberries are light to dark red when ripe and should only be used when ripe. Fresh (and raw) cranberries are rather bitter and hard, so about 95% of cranberries are sent to be processed and used to make cranberry juices and sauces. Cranberries have moderate levels of vitamin c, dietary fiber as well as vitamins E, K and A along with a good amount of calcium, iron, manganese and potassium. Cranberries have been recently marketed as a “superfruit” due to their high nutrient content and antioxidant qualities. 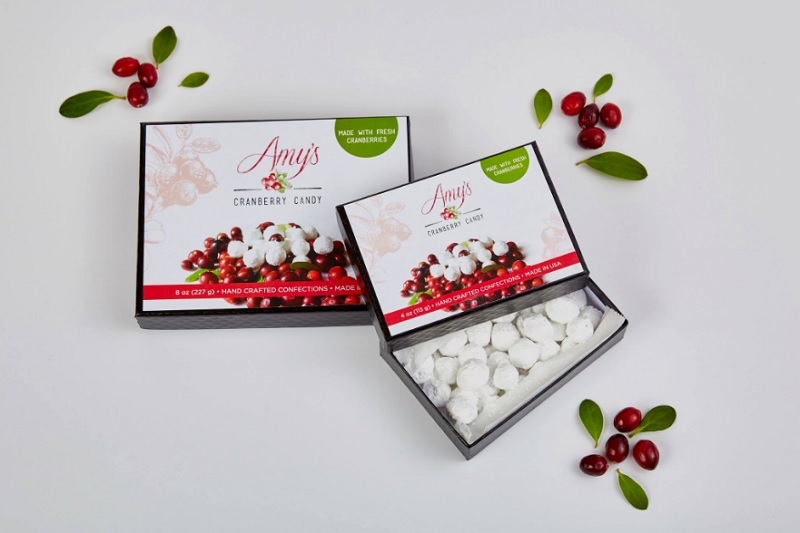 Amy’s Cranberry Candy began with Grandma Amy many years ago. She needed some tasty treats for little children, but the only treats available were too sweet, too salty or just plain unhealthy. She needed something healthy but also something children would happily eat. Amy knew cranberries were healthy but wondered how she could get children to eat them. Knowing children liked sweets, Amy set out to try various recipes and finally created her secret, yet simple, Amy’s Cranberry Candy. Her family still uses her original recipes in the company’s cranberry creations.